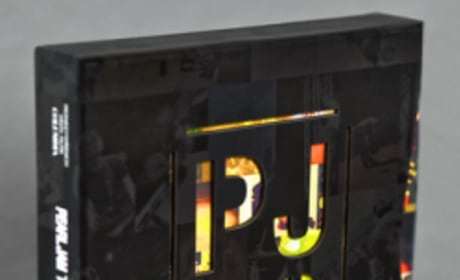 Pearl Jam 20 DVD and Blu-Ray has arrived. Cameron Crowe documented the band's 20th anniversary. Eddie Vedder from the Cameron Crowe documentary Pearl Jam 20. The rock group celebrates 20 years in the business by releasing a documentary, Pearl Jam 20. Filmmaker Cameron Crowe films his rock idols, Pearl Jam, for the documentary Pearl Jam 20. The film is released September 21 and opens wide September 23. 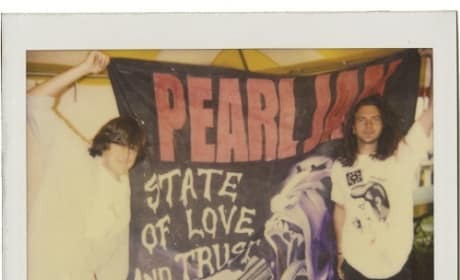 In this still from Pearl Jam 20, Cameron Crowe and Eddie Vedder pose in front of a Pearl Jam flag in Italy in 1993. 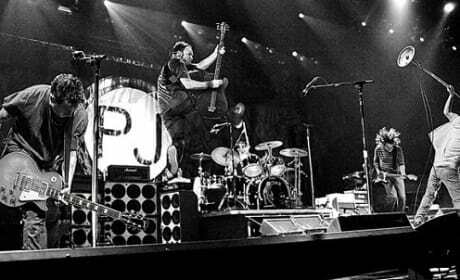 Crowe was given unbelievable access to Pearl Jam for Pearl Jam 20. Pearl Jam 20 poster. Cameron Crowe is directing the doc Pearl Jam 20. 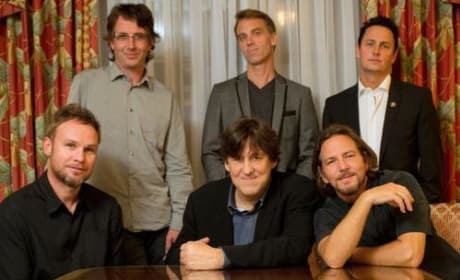 Cameron Crowe and Pearl Jam talk to Movie Fanatic for Pearl Jam 20. The band is celebrating 20 years and Cameron Crowe made a documentary about their influence. The band Pearl Jam gets their rocks off in this still from Pearl Jam 20. 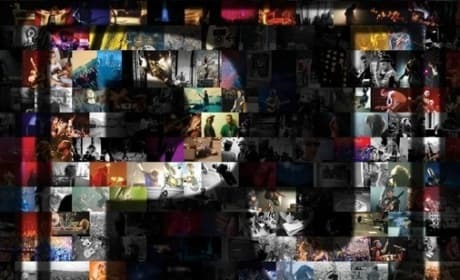 Pearl Jam Twenty is Cameron Crowe's documentary on the band who is celebrating 20 years in the biz.